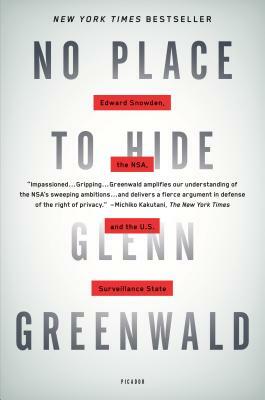 Glenn Greenwald is the author of several bestsellers, including How Would a Patriot Act? and With Liberty and Justice for Some. Acclaimed as one of the 25 most influential political commentators by The Atlantic, one of America’s top 10 opinion writers by Newsweek, and one of the Top 100 Global Thinkers for 2013 by Foreign Policy, Greenwald is a former constitutional law and civil rights litigator. He was a columnist for The Guardian until October 2013 and is now a founding editor of a new media outlet, The Intercept.. He is a frequent guest on CNN, MSNBC, and various other television and radio outlets. He has won numerous awards for his NSA reporting, including the 2013 Polk Award for national security reporting, the top 2013 investigative journalism award from the Online News Association, the Esso Award for Excellence in Reporting (the Brazilian equivalent of the Pulitzer Prize), and the 2013 Pioneer Award from Electronic Frontier Foundation. He also received the first annual I. F. Stone Award for Independent Journalism in 2009 and a 2010 Online Journalism Award for his investigative work on the arrest and detention of Chelsea Manning. In 2013, Greenwald led the Guardian reporting that was awarded the Pulitzer Prize for public service.